Spigen’s portfolio of cases for the iPhone 6 is long and extensive, ranging from protective ones like the Tough Armor, to the always-classy Neo Hybrid line, but they also have ones that are minimalist. Seriously, when we talk about being a minimalist case, we mean the kind that are simply there to offer minimal protection – with no emphasis on style. One particular new case from them fits the bill, the Spigen Air Skin Case! Talk about being ultra-thin! The Spigen Air Skin is undoubtedly that, as it sports a design that makes the phone feel naked to an extent. Call it what you like, but the Air Skin case is a special polycarbonate shell with a urethane coating to prevent discoloration. The translucent shade of our particular review unit allows the iPhone 6’s aesthetics to continue standing out – while being in the case, obviously. 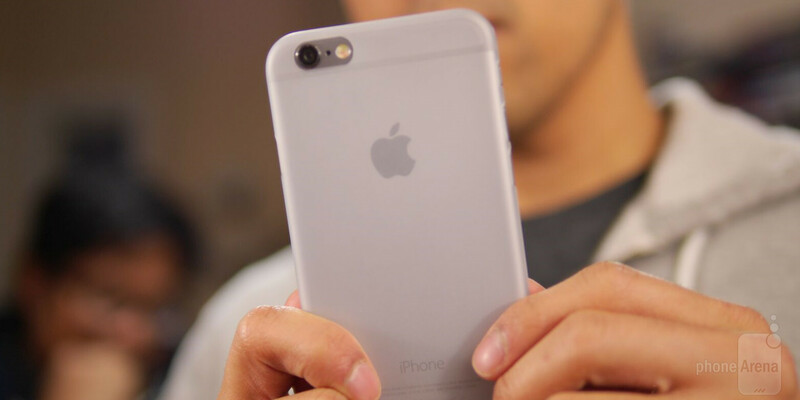 In terms of protection, the only thing it’s good at is keeping the iPhone 6 scratch-free. However, the screen is prone to scratching because there’s barely any sort of lip around the display to prevent it from coming into direct contact with surfaces when it’s placed flat down. Due to its barely there design, the Air Skin won’t do a thing if you accidentally drop the phone onto a rough surface – so expect to see some damage if it does indeed happen. Like the Capella Case for the iPhone 6, the Air Skin is offered in 5 different pastel-like translucent shades, which is different from the colder tones we see employed in its other cases. Since this is a minimalist case, it’s naturally greeted with an inexpensive price point. Specifically, you can snag it for as low as $12.99 through Amazon, which is pretty cheap considering all the other options that the company offers. Well, the Air Skin wouldn’t be our first choice amongst the other options from Spigen, but if you’re looking to go cheap and just want to reduce the chances of the phone getting scuffed up because of scratches, we suppose this might be an option – though, not the best one.